Department of Pharmaceuticals, Government of India announced the setting up of a dedicated centre for Small and Medium Pharmaceutical Industries (SMPIs) at Pharmaceutical Advisory Forum (PAF) on 23rd April 2008. SMPIC came into existence from 23rd February, 2009. This centre aims at creating commercial synergy between industry and academia, and for furthering the spirit of cooperation. To develop training programs to match the requirements of the SME Pharma sector. To offer the spare time of common instruments in NIPER, to SME Pharma companies on a cost sharing basis. To offer the expertise available with the faculty members of the Institute in solving specific problems of SME Pharma companies. To train science and pharmacy graduates in the state-of-the-art instrumentation facilities and regulatory requirements. To develop and assist SME Pharma units to meet global challenges, besides Schedule M, Good Laboratory Practices and other regulatory requirements. 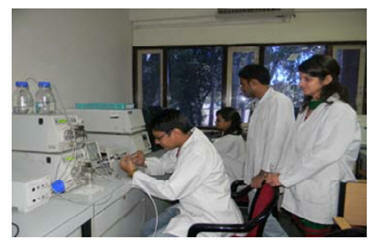 To provide and coordinate other services of NIPER faculties. Practical Training on Plant Operations, Machinery and in-process Testing in collaboration with Technology Development Centre (TDC) NIPER. Training combined with hands-on experience, is a useful combination that will help Small and Medium Enterprises (SMEs). 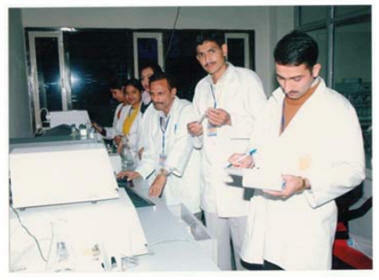 Pharma personnel to understand the latest analytical techniques and apply them in their daily operations. These training courses are being conducted in SMPIC through-out the year. The course is designed to aid in understanding the operation, daily working, analysis, calibration, troubleshooting and software handling. On-site training programs may also be offered as per specific requirement. We provide a certificate after evaluation of the performance of each participant in every module. So far 431 participants from SME Pharma companies and academia have utilized these trainings to enhance their skills. QC/QA personnel from pharma SMEs. Graduate, Post-Graduate, Research Students of Pharmacy, Science, Applied Sciences, Technology and Engineering. Technical personnel from drug regulatory authorities. Seminars are periodically organized by SMPIC on issues relevant to SME pharmaceutical companies. Till date 15 seminars have been conducted on topics like GMP/GLP, Documentation, Dossier forms Formulation, Environment etc. About 700 participants from Industry, Academia have attended these seminars. The seminars include interactive sessions thus addressing scientific queries in effective manner. SMPIC provides an impartial setting that fosters sharing of information between industry, government, academia and individuals, thus providing valuable linkages across a wide spectrum of interest in the pharmaceutical industry. The topics for the upcoming seminars are announced one month in advance and information is floated on NIPER website. On-site training programs / seminars can be conducted on specific requests. On-site courses bring the classroom learning experience to your company's facilities as per your specific needs. 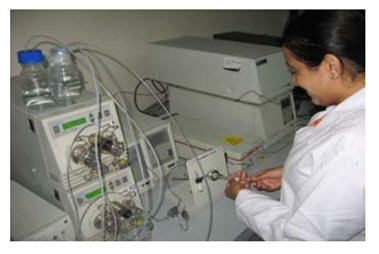 Pharma units Registered with SMPIC can avail 50% concession on analytical testing facilities available at NIPER. 88 pharma SMEs have become members of SMPIC. New members from Pharmaceutical industry are registered by submitting the dually filled membership form to SMPIC. The life time registration fee is Rs1000. The fee can be submitted in the form of DD (in favour of Director, NIPER) along with the membership form. A hard copy of drug manufacturing licence and SME registration number is also required to be provided.